A dry ski slope or artificial ski slope is a ski slope that mimics the attributes of snow using materials that are stable at room temperature, to enable people to ski, snowboard or snow tube in places where natural, snow-covered slopes are inconvenient or unavailable. 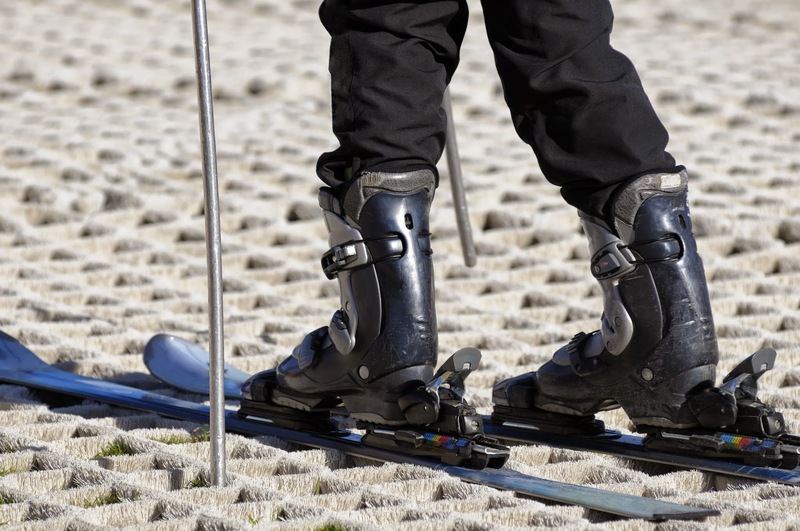 Although commonly known as “dry ski slopes”, many slopes are lubricated using a mist or jet system to increase speed and prevent damage to equipment from friction heat build-up. 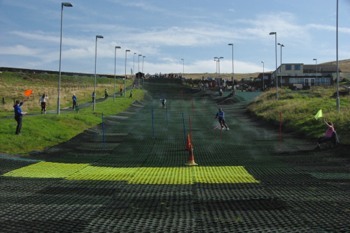 As a general rule, they are found predominantly in the United Kingdom and the Netherlands as other European countries tend to have ready access to real snow fields, as does North America in the winter.